Ramsey Sport and Spine was founded in 2016 as a collaboration between Michael Golz, and Joseph Young to bridge the gap in services between professional physical therapy and chiropractic care. With a commitment to health and wellness, we offer a true one-stop wellness center where patients receive a customized program of care under one roof. By having the two disciplines in one location, we can more effectively monitor your level of function and provide immediate and ongoing care as needed. It is this collective approach that makes us the chiropractor Bergen County NJ relies on and the trusted source for physical therapy Ramsey NJ depends on. If you’re searching for “chiropractor near me,” you want to partner with someone who you can trust. At Ramsey Sport and Spine, we take great pride in working in the town where we live. We care about our community and our patients, and are committed to spreading the importance of wellness to everyone we meet. 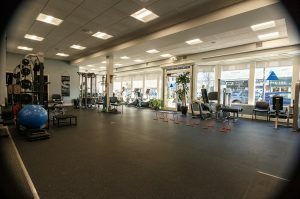 So when you’re looking for professional physical therapy or a chiropractor in Ramsey NJ, we’re right here, ready to help.